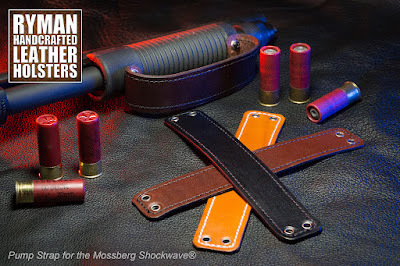 What's not to like about the relatively little Mossberg Shockwave? 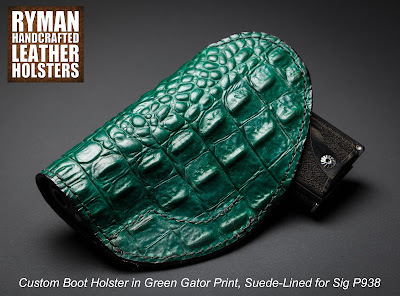 Nothing, except for the factory nylon pump strap! 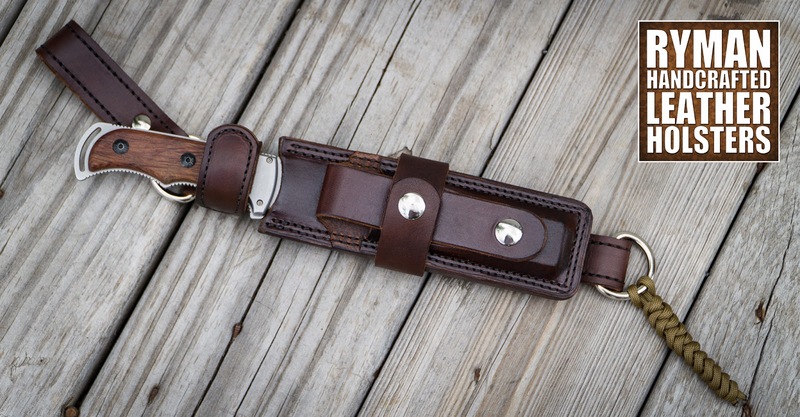 This is a superior quality replacement pump strap made from genuine American Hermann Oak Leather. 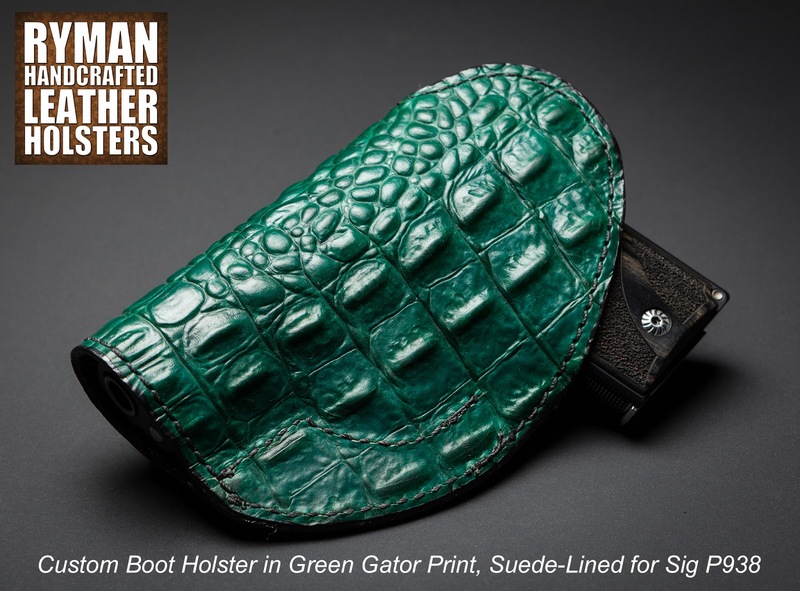 Available in black, brown, and tan leather with black or white stitching. 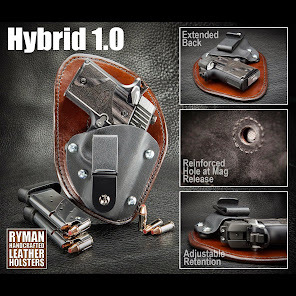 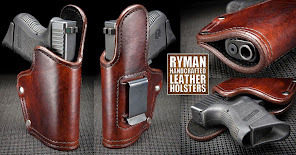 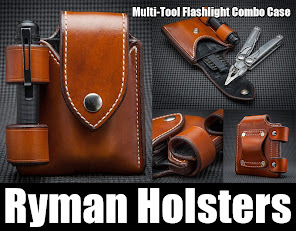 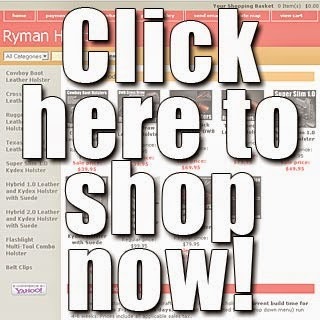 Check prices and availability here... www.RymanHolsters.com. 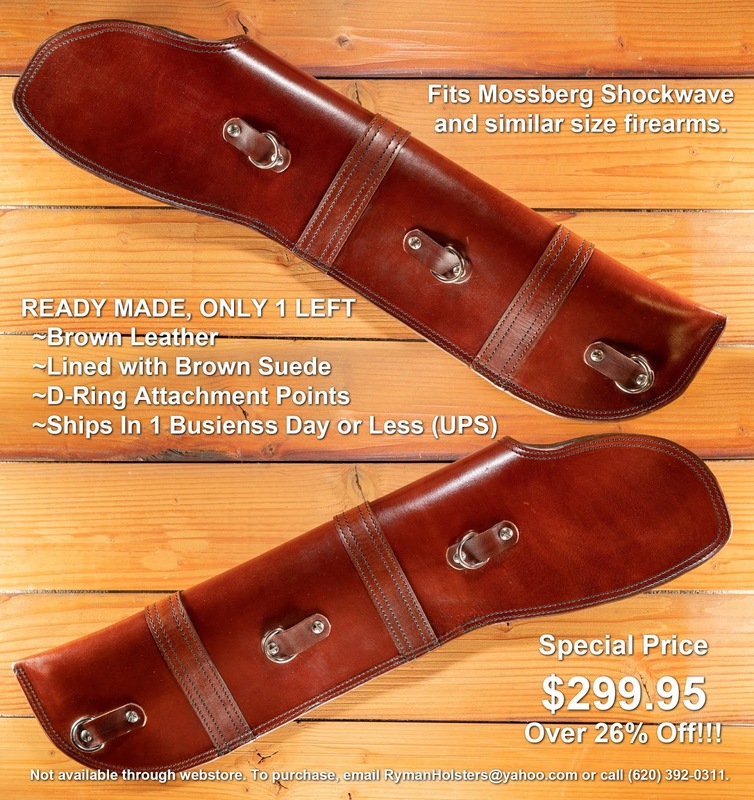 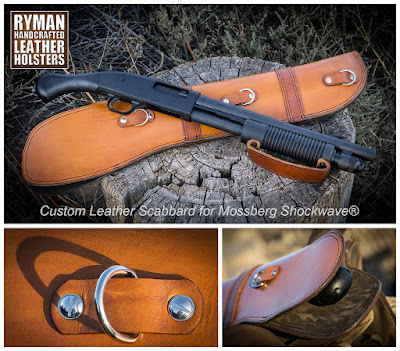 Here's a custom, suede-lined, leather scabbard for the Mossberg Shockwave. 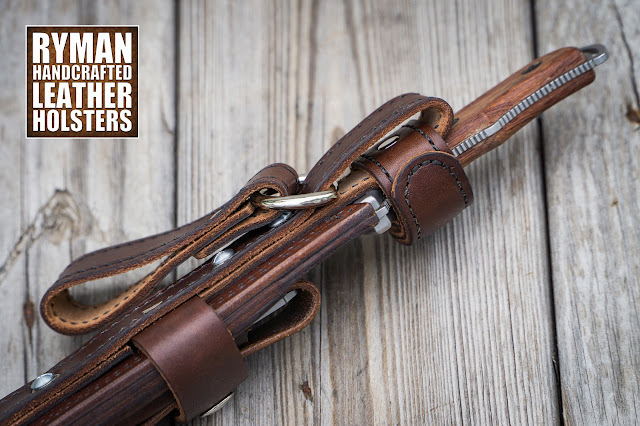 It's made from genuine American Hermann Oak Leather and lined with a super smooth chocolate brown chap suede. 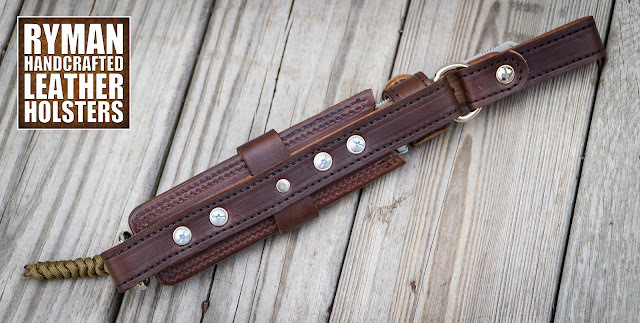 The mounts on the outside are secured with mechanical fasteners (not rivets). 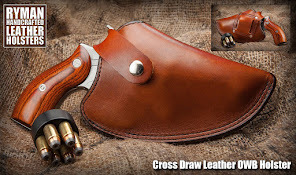 The hardware does not contact the firearm. 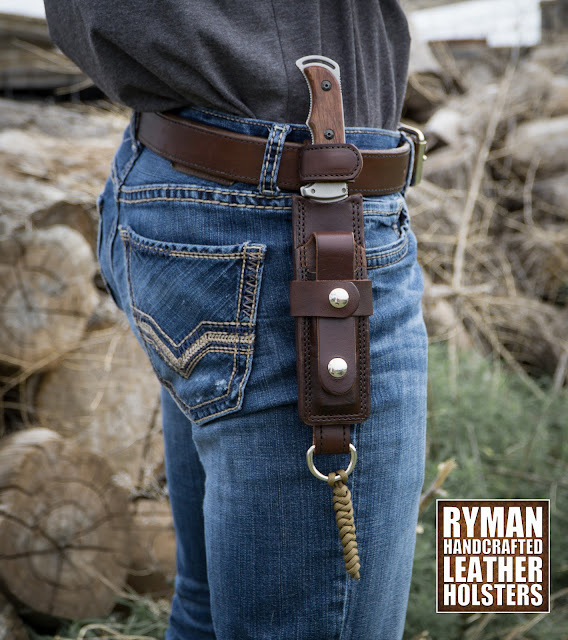 The 'D' rings (6 total) are removable leaving a strap slot for horizontal lashing options. I have one brown scabbard completed and ready to ship in one business day or less. 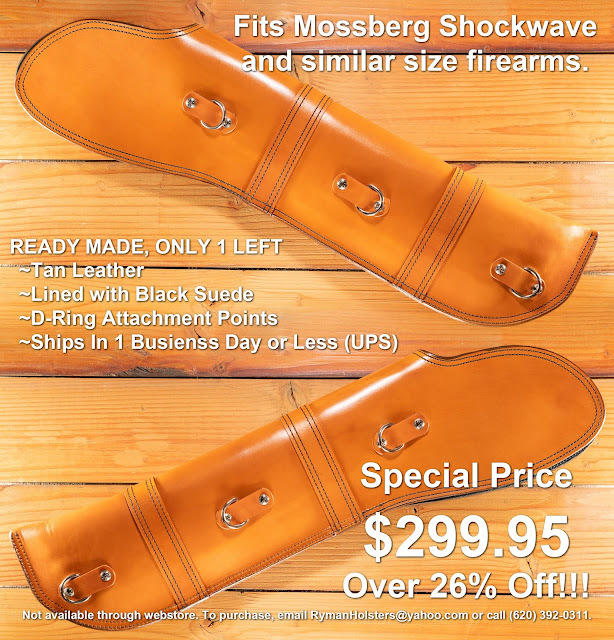 Plus, it's discounted by more than 26% off sale price at $299.95. It's not available through my website, so shoot me a message on FB or email rymanholsters@yahoo.com or call 620-392-0311. I have one tan scabbard completed and ready to ship in one business day or less. Plus, it's discounted by more than 26% off sale price at $299.95. 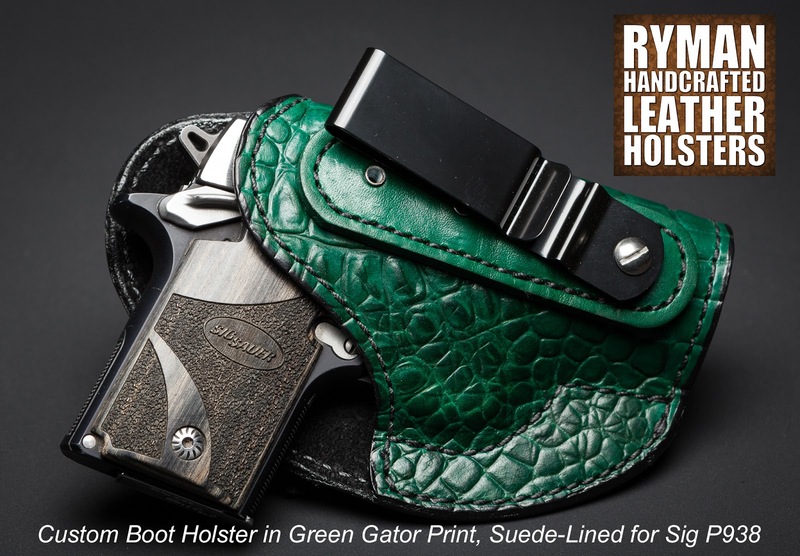 It's not available through my website, so shoot me a message on FB or email rymanholsters@yahoo.com or call 620-392-0311. 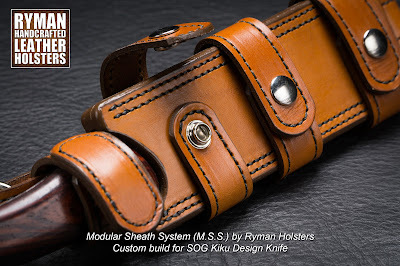 This is a recently completed, custom M.S.S. 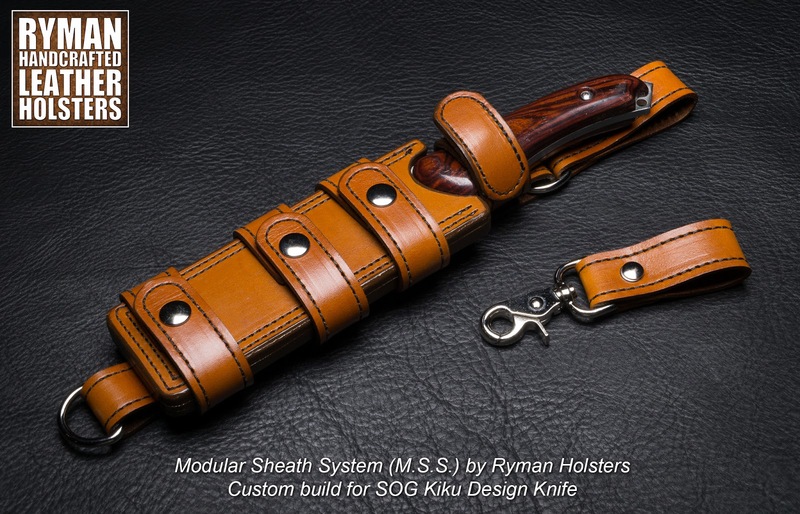 sheath for a customer-owned SOG Kiku designed knife. 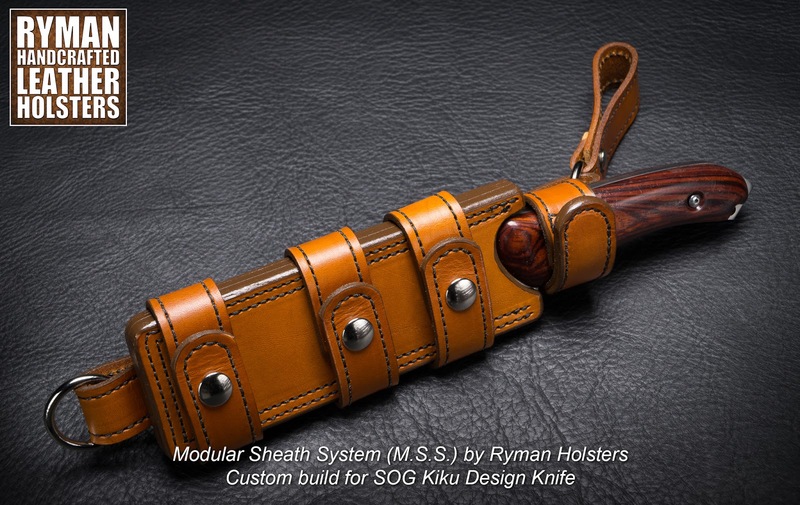 It's currently configured as a right hand scout carry/ left side carry. 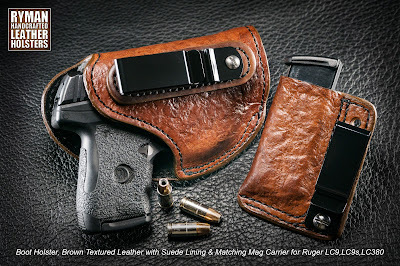 It's completely reversible to accommodate left hand scout carry/right side carry. There are 3 attachment points on either side of the sheath body. The removable scout straps are secured with snaps. 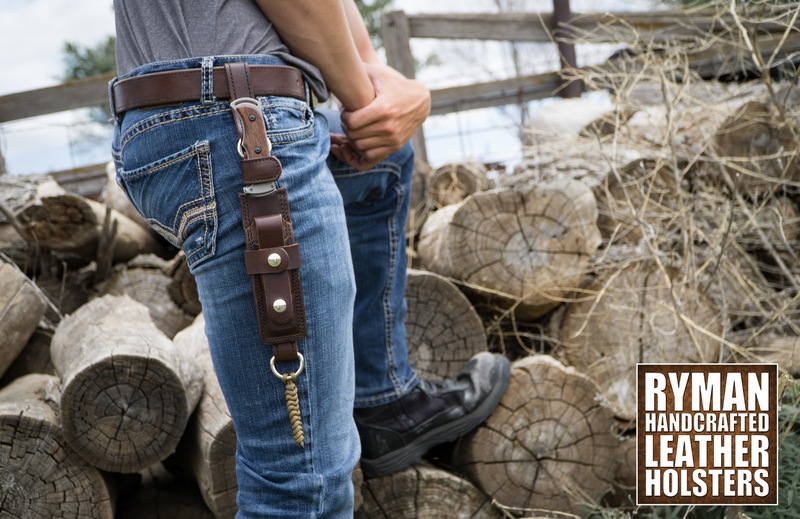 I've also included a matching Rugged Key Keeper. 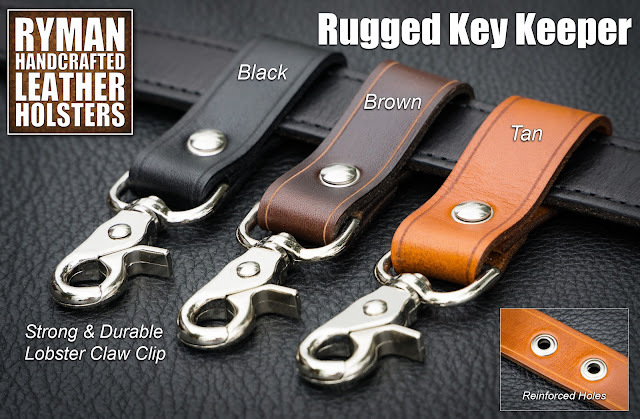 Here is the perfect accessory for the Ultimate Multitool Case... a matching Rugged Key Keeper! Here's a phone case that will likely outlive your phone! 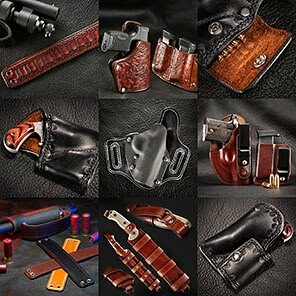 These are available for custom order right now. Made from genuine Hermann Oak leather. 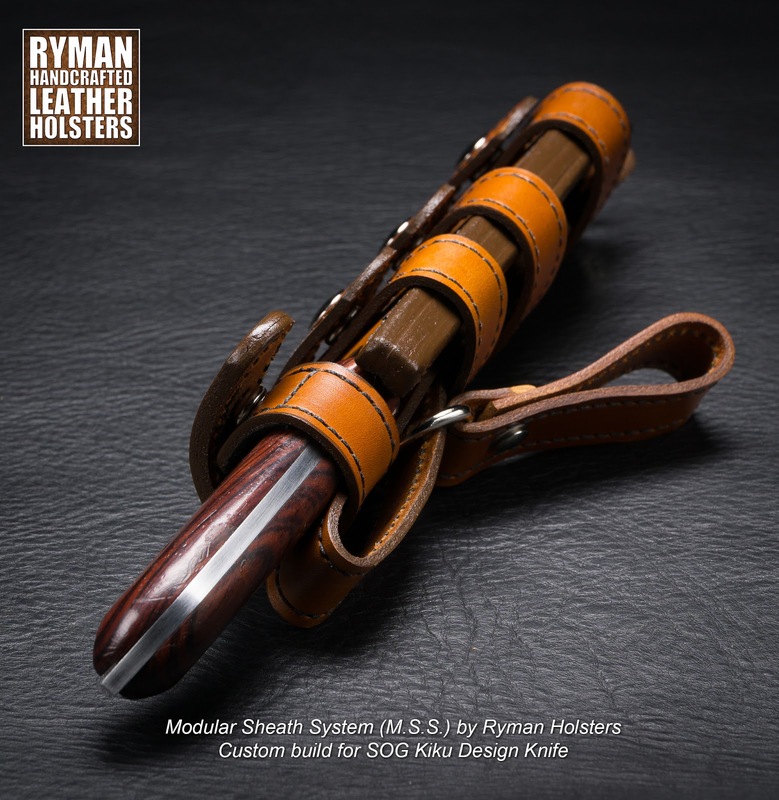 Black, brown, or tan leather with optional edge tooling and optional suede lining. 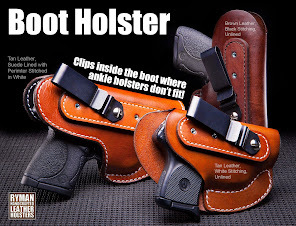 Choose from steel clip or loop (pictured) belt attachment method. Prices start at $60 shipped. 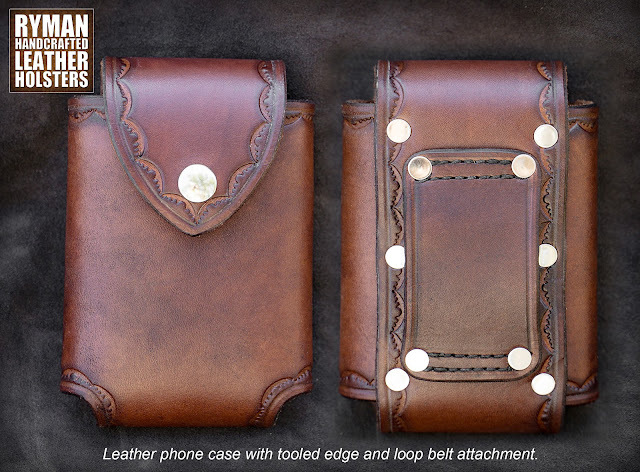 Message if you'd like one! Just finished another M.S.S. 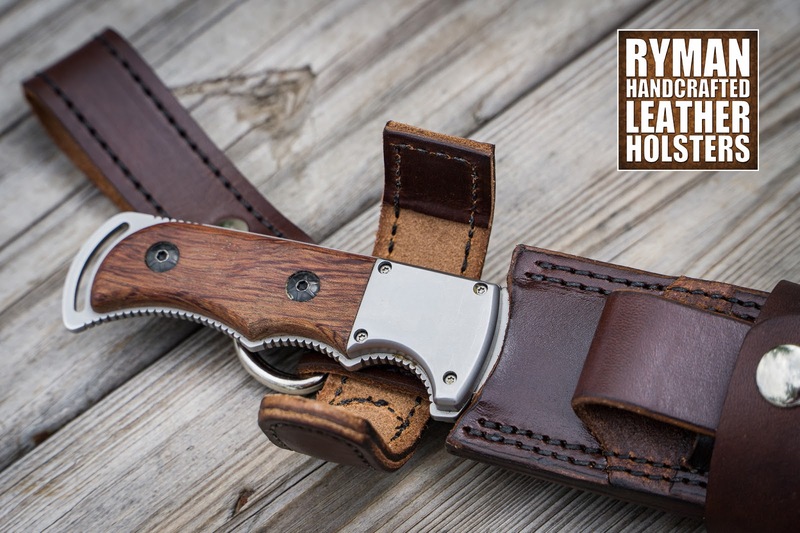 custom dangler sheath (customer provided knife). 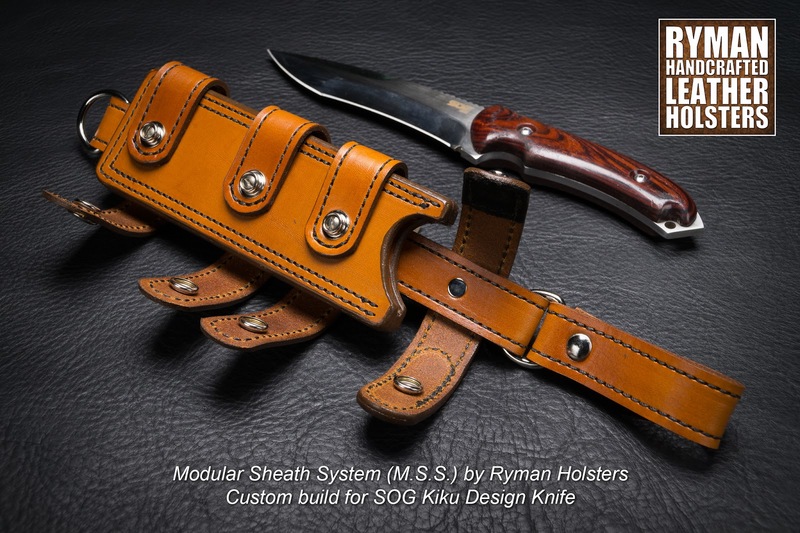 This one is a bit different. 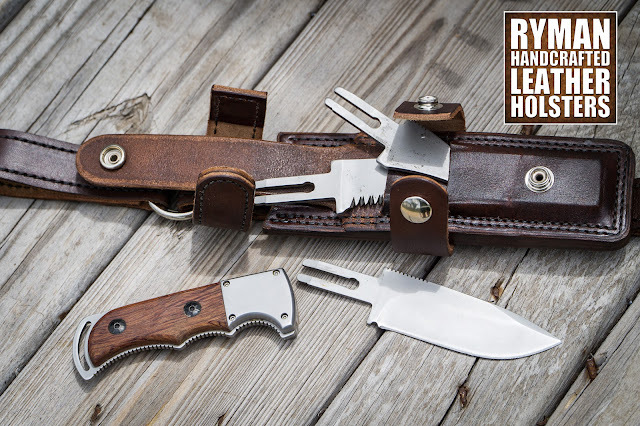 The customer requested pockets for the additional blades. As with my other Modular Sheath System (M.S.S.) 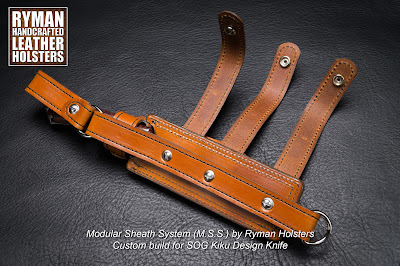 sheathes, the dangler assembly can be removed. 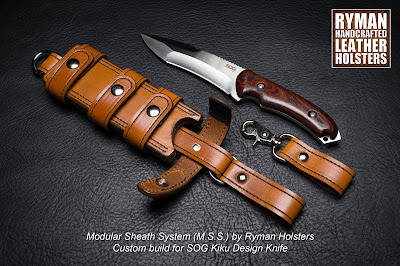 The sheath can be carried in one of two positions without removing the dangler.